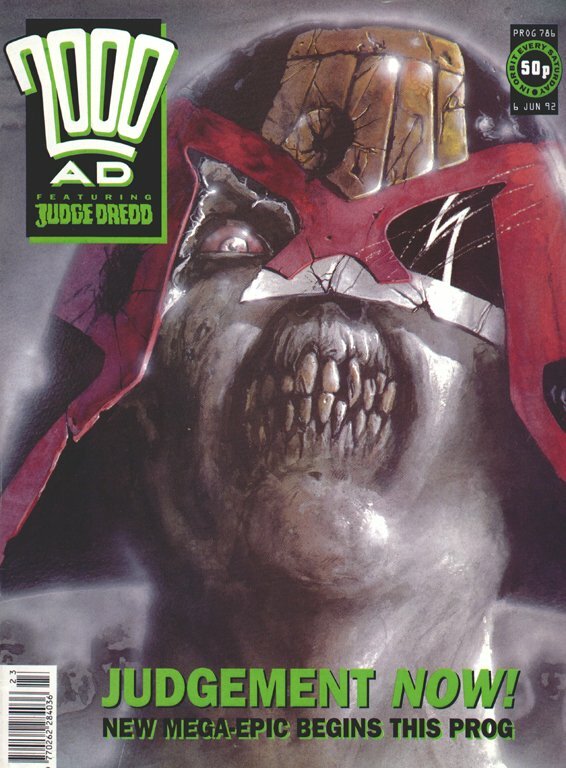 Doherty was one of the few post-McCarthy artists on Dredd to embrace that radical triangular helmet / shiny look. Generating palpable atmosphere, usually of the urban horror variety: dreary, hopeless, downtrodden, chilly and infused with dread. Also characters with pointy noses and chins (except when they have no chin at all), beady eyes, sinister affect, skin that doesn’t quite fit. And, in among all this, a facility with comedy – often the kind of comedy that comes from everything being so horrible. Doherty has almost exclusively worked in the world of Dredd, which is kind of all about people living in a society that is at root pretty unpleasant. 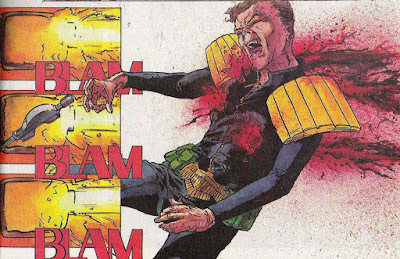 – but for me, and I imagine most readers, his true launch was super high-profile, bursting onto the page in the very first issue of the Judge Dredd Megazine, with Young Death. 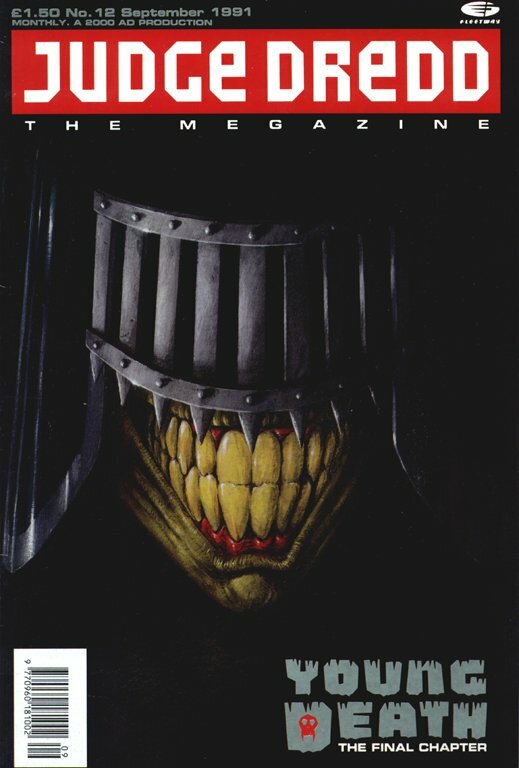 Although America is the story everyone turns to and talks about now, at the time I recall Young Death being the more hyped series – not least because it had an obvious hook, namely the secret origin of Judge Death. Certainly before the Meg actually came out, this was the story that made me want to buy it. Now, there are many who’d argue that this same series is the very one that’s guilty of turning Death from a truly horrifying character into a comedy character. The series is often played for laughs, with the evil dentist and of course dear old Mrs Gunderson. But I think it’s ripe for re-evaluation as something seriously sinister. Not least in the light of the recent Deadworld series, the bleakest thing ever, but also, arguably, a spin-off from Young Death (via Anderson: Half-Life). What a way to launch your career, with an acid-dissolved body being hoisted out of a pit! For all the roughness around the edges, Doherty’s cartooning instincts are immaculate. 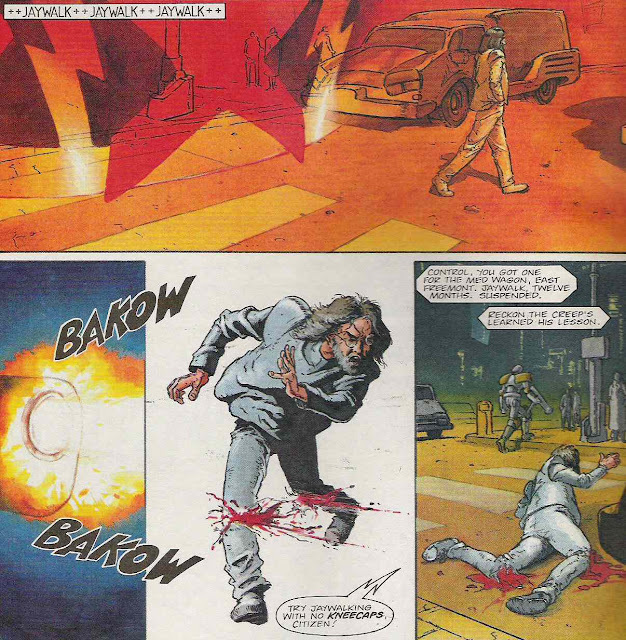 By the end of the twelve issue run, he was largely fully-formed. His work since then has improved and improved, but the essence hasn’t changed, to my eyes. It’s its own thing, and unlike anything else. 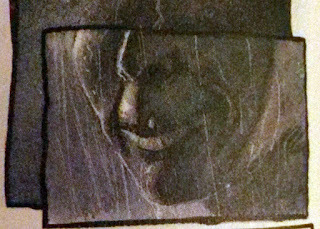 And of course there’s that magic ingredient about Doherty’s artwork - it always elevates whatever script it’s attached to. Case in point: Justice One. The story lingers in my memory as a minor classic, even though the murder mystery at its heart never quite lived up to the premise and the setting, and above all, the super atmospheric art. Actually, I can't remember if this is from Justice 1, but it's an awesome panel of carnage. 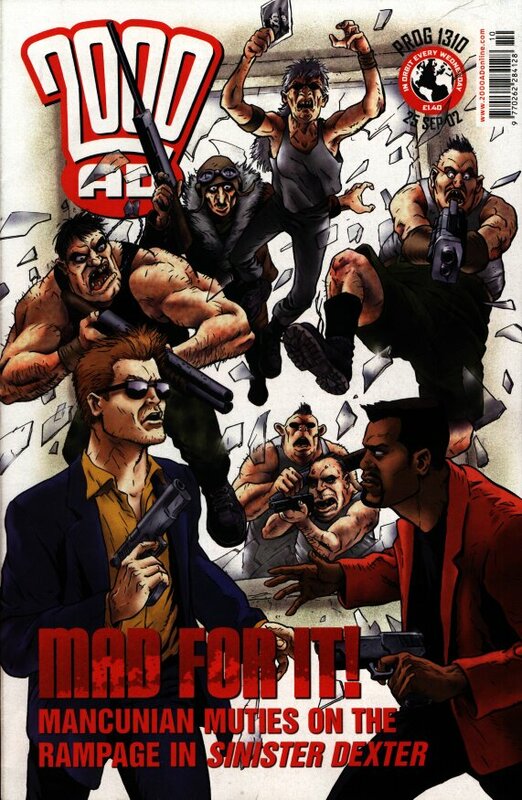 Judgement Day, the next Doherty/Ennis collaboration, has its porblems, one of which is the weird mix of artists that work across the series as a whole. 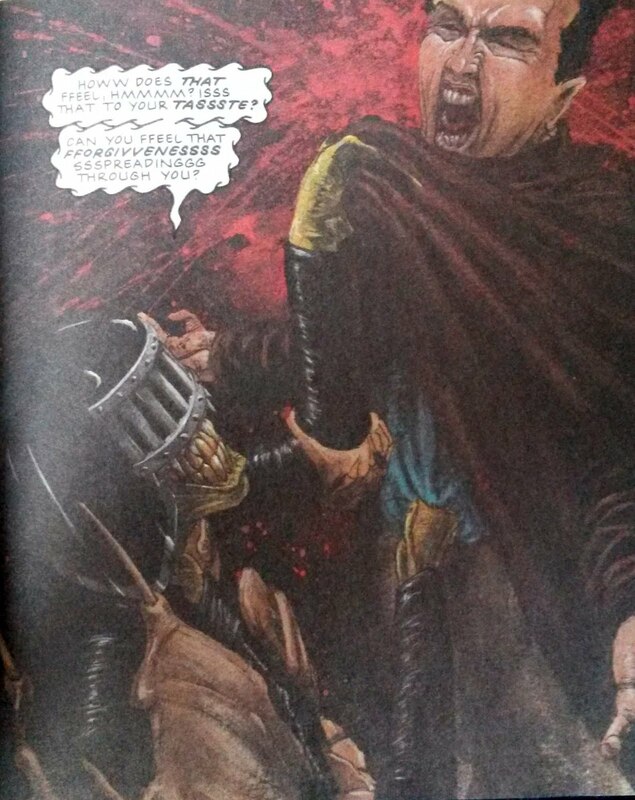 While an Ezquerra solo effort would clearly have worked, I'm kinda sad we didn't get Doherty doing the whole thing. His early, zombie-focussed episodes were some of the best, and it would have lent the whole mega-epic a very different tone from others. Hell, I even liked his 'secret origin of Sabat' Beano-inspired epsiode. Doherty did get to take on a mini-epic by himself, Mechanismo II. It takes the comic violence of MacNeil’s original and turns it into a tight-knit thriller (kind of like the reverse of the Alien-Aliens transition). Still with comedy. 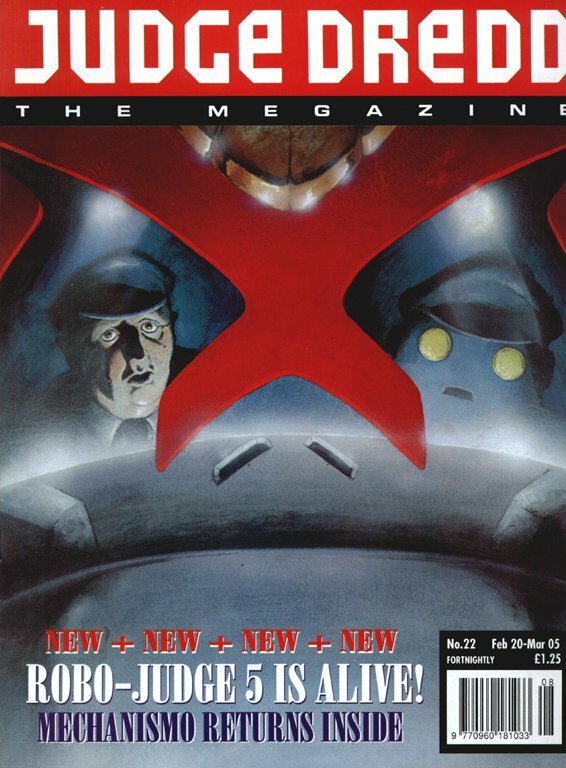 How does Doherty make this cover so moody and silly at the same time? This panel hanuts my dreams. So cold! Dredd apologises, but can't hide his shame. There's no real compairons in style (except I guess an overload of wrinkles), but some of this work puts me in mind of John Ridgway, that other master of telling you exactly what his characters are emoting. More perfect character work, no? And the All-new Adventures of PJ Maybe, who always did manage to be a figure of both fun and horror. But this isn’t him, of course! It’s another in a long line of Dohertyian sadsacks. There's quite a jump in years from the previous panel to this - and you can see Doherty has more confidence to his line. The colours here are by Chris Blythe, if you're wondering why they seem especially different. Doherty completes (well, almost) his tour of major Dredd supporting characters with Night School, a tale of Dolman and Vienna, the Dredds who managed to ignore the call to work in justice dept. And, hopefully not his Dredd swansong, he got to deliver a brand new and recurring villain, perhaps the closest Dredd has come to pure nastiness, the sneering, leering Ratfink. If some readers were turned off by him, it might just be because Doherty did too good of job of realising a figure that is almost too horrible too look at, let alone spend time inside the head of. Chilling. Even the people sent to catch the Ratfink are corrupted by his nastiness. Also, check out that rain! Doherty is the king of foul weather. 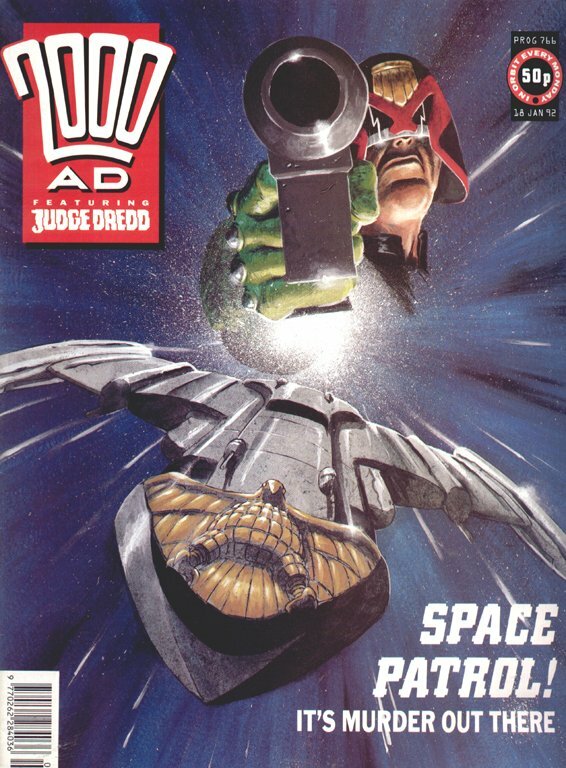 Still within the world of Dredd, some years earlier, there was Breathing Space. Sadly Doherty was only able to complete full art for the first two episodes before ill-health forced him to step back to colours only. But he’d done more than enough work to set the tone for this very odd noir-ish thriller that is ultimately about a man having a protracted mental breakdown. And this is the opening episode! 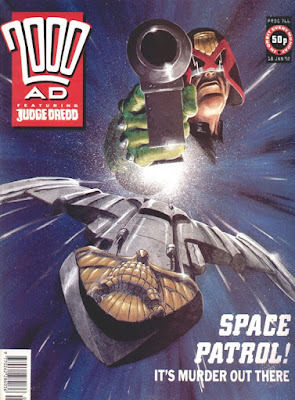 Still technically within the world of Dredd, but really quite far to one side, Doherty delivered what remains the most recent outing for Devlin Waugh, a character he really nails. It’s partly a flashback story, but for me it’s the homely scenes of Devlin and his mum on the sofa having tea and cake that just feels really right for the character. Devlin's pose in that panel nails the character. I don’t know if he is just super picky and won’t take on anything less than Dredd (or his world), or if it’s just that Tharg finds him super-suited to that world. 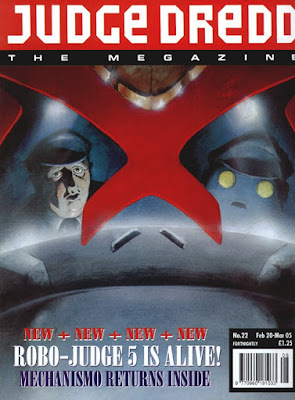 He did tackle a couple of Sinister Dexter covers; I guess Downlode is probably as horrible a place to live as MC1! Certainly it's not short of mutant weirdoes. Since then, significant colouring projects include Mandroid II, Ichabod Azrael II and recent 3riller Mindmines, his lightest job yet! 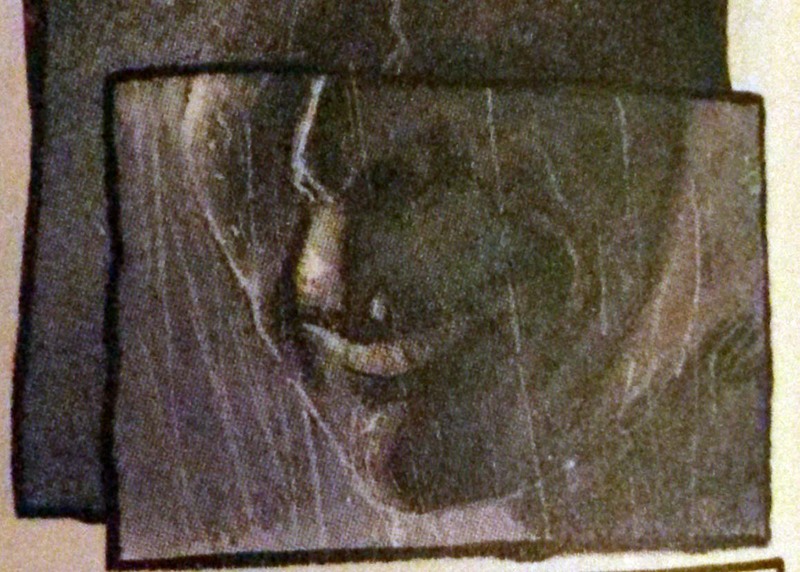 I suppose it’s not that his colouring is inherently dark, more that his subject matter tends to be on the moody side, so this kind of thing sticks out. And maybe it’s right to end with his most recent bit of strip work, the Terror Tale Night Shifts, a kind of throwback to the 1980s world of monster movies. 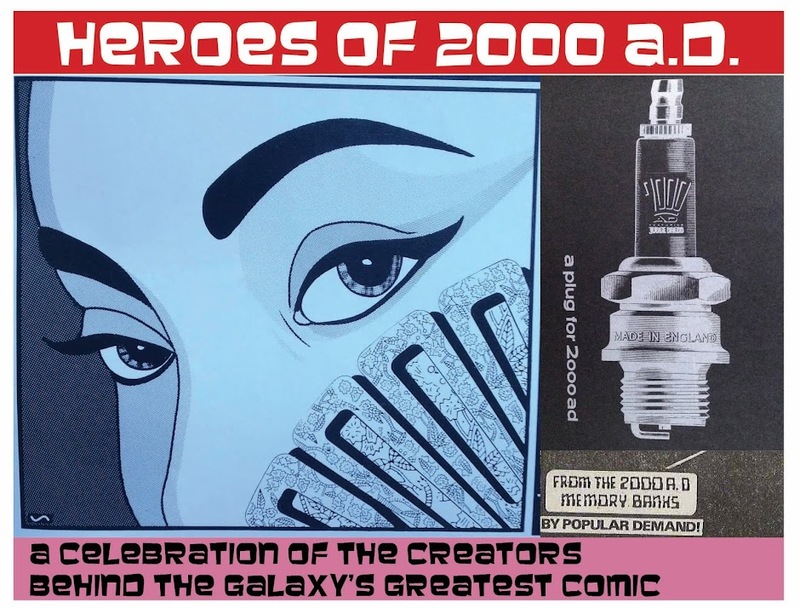 Across a near 30-year career for Tharg, Doherty hasn’t been as prolific as some, but by gosh what he has delivered has been from the top drawer of the top chest of drawers. Breathing Space: the story is flawed (but still good); the art is terrific. **Which I was delighted to see checked in the History of Female Judges series; check it out for thoroughness and fascinating insights!